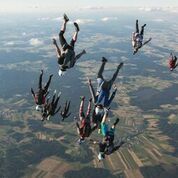 For the consecutive 32nd year the Pink Skyvan organized Austrias biggest Skydiving event in Fromberg. 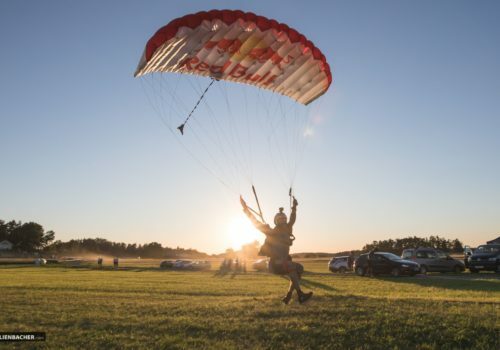 This 1,000 inhabitants village welcomes skydivers from all over the world since 1986 and some of the locals have been working there since the very beginning making this event one of the biggest parties for the countryside of the Waldviertel. Nearly 10.000 spectators pass by during the week watching skydivers jumping out of a Skyvan. 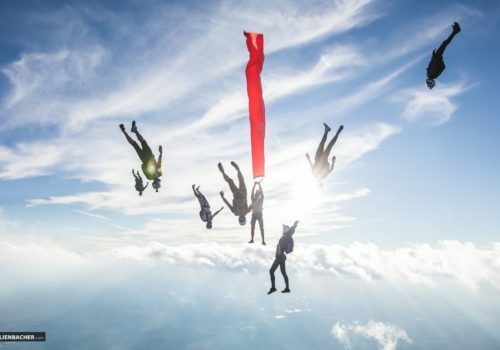 Last year we managed to write down Austrian Freefly history with setting up a new record of 16 skydivers taking grips in a Head Down position. 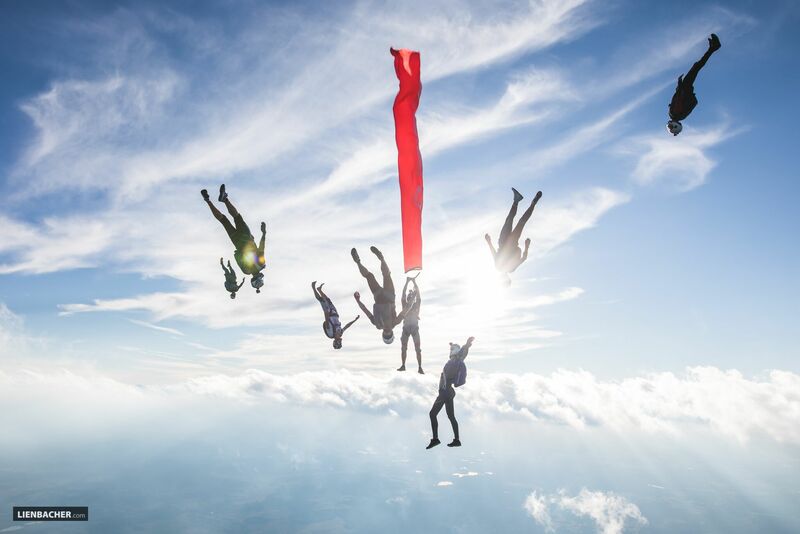 Even though we couldn’t break the record this year, we still managed to break a record with 8 skydivers in a Head Down position performing 4 different formations on the same jump called a SEQUENTIAL RECORD. 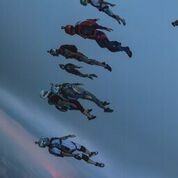 The rest of the week was spent with fun jumping with our friends and some early morning balloon jumps. Let’s do this again next year!